Back in November 2015 the State of New Jersey enacted the ‘Korman and Park’s Law’, named for Noel Korman, Noel was a champion skateboarder, and his friend Alice Park. Both were victims of Carbon Monoxide poisoning in a Passaic NJ building that contained an art studio and rehearsal space. Some facts on Carbon Monoxide: it is a colorless, odorless gas that is toxic even at very low concentration. When you breathe CO in, it displaces the oxygen in your red blood cells starving your body of the essential elements necessary for life. Even at concentrations as low as 0.1% or less in your blood stream can lead to dizziness, nausea and convulsions within 45 minutes. Carbon Monoxide mixes with air easily and weighs approximately the same as air. 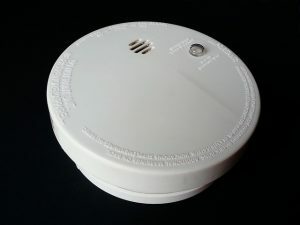 Carbon Monoxide is created as a product of incomplete combustion of fossil fuels such as wood, coal, gasoline, diesel, natural gas and propane gas. Carbon Monoxide gas can buildup indoors and harm people and animals who may breathe it. The New Jersey Fire Safety Code Carbon Monoxide regulations take effective September 3, 2017. You may find that your fire AHJ / official will bring it to your attention (and potentially write a violation) at the next site inspection of your buildings.